OK, in the last few days we've heard some music, a short comedy performance and lots and lots of memorials being discussed here at the Roundhouse. I'm not one for conspiracy theories, but I heard some speculation from a Roundhouse regular that made me wonder. Could it be that things are moving slow on purpose, to stall until Rep. Ernest Chavez, D-Albuquerque and/or Rep. Phillip Archuleta get well enough to make it to the session? Probably far-fetched. After all, last year during the 60-day session, a lot of us were complaining that nothing happened in the whole session until an hour or so before the end. 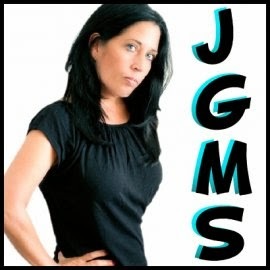 I'll be on Julia Goldberg's Morning Show at 9 am. I'll be talking about (you guessed it) the Legislature. According to her site, Julia is "brash, informed, honest, funny and opinionated." Ever want to watch the Legislature in action, but something like, say, work, interferes with your schedule and you can't do it? 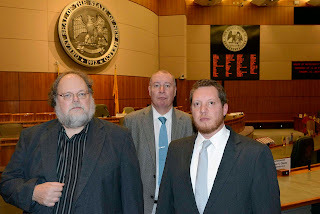 State Rep. Jeff Steinborn, D-Las Cruces, plans to introduce a rule change that would require the Legislative Council Service to save all the webcasts so folks out in Cyberland can watch at their convenience. Rep. Jason Harper, R-Rio Rancho, will co-sponsor the move. The decision not to archive came in the early days of webcasting when the old lions of the Legislature decided that saving the videos could result in political "mischief," such as making campaign ads showing lawmakers sleeping, goofing off or casting controversial votes. Steinborn also said he will introduce another measure that would require the Legislative Council Service to webcast all interim committee hearings. "During this last summer, there was increased public interest in following interim committee legislative hearings related to Governor Martinez’ shake up of the state’s mental health system," the news release said. 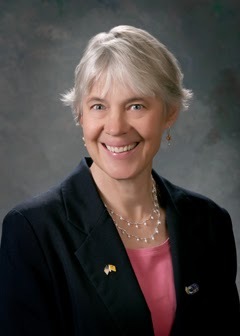 Co-sponsoring this will be Senate President Pro-tem Mary Kay Papen, D-Las Cruces. UPDATE 1-28-14 10:23 am: Some Republican friends on Twitter gently reminded me that Gov. Martinez archives floor sessions and some committee hearings HERE. She doesn't have to though. The Steinborn-Harper measure would require it. ROUNDHOUSE ROUNDUP: Will Fireworks Bill Set the Woods on Fire in This Year's Legislature? 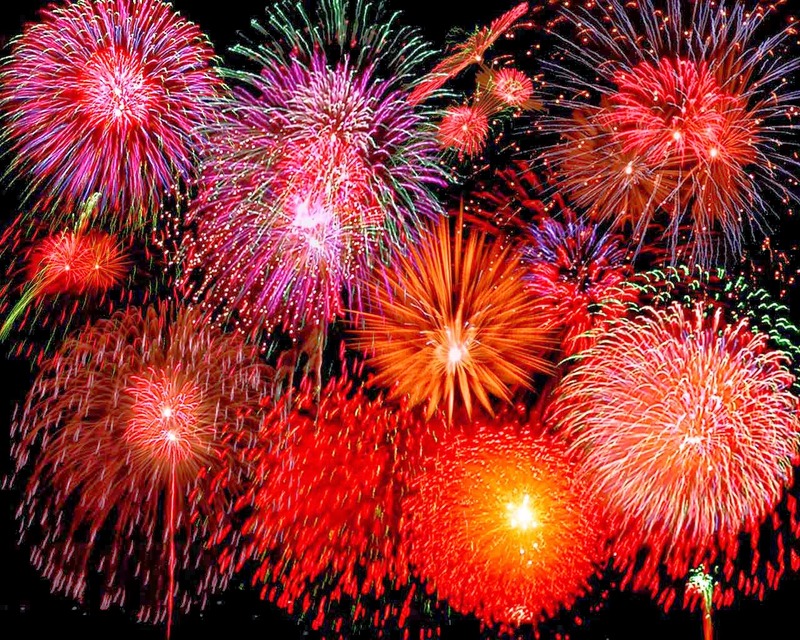 One type of bill that’s almost guaranteed to be a dud (caution, bad pun setup) in the New Mexico Legislature is legislation restricting fireworks. For instance, remember back in the hot dry summer of 2011, when the Las Conchas Fire was raging near Los Alamos, and Gov. Susana Martinez called for a bill that would give the governor the legal authority to impose a ban on all fireworks in the state? She got a bipartisan team of legislators to push such a bill, but it went down in flames (sorry, I can’t help myself). With what some believe could be another hot, dry summer ripe for forest fires in store, Martinez again is calling for a fireworks bill. She sent a message to the Senate last week that allows the Legislature to consider it in the current 30-day “budget session.” The message applies to Senate Bill 94, sponsored by Sen. Phil Griego, D-San Jose, who helped derail the 2012 fireworks bill. Susan Riedel, who worked under Gov. Susana Martinez when she was the district attorney in Las Cruces, announced this morning that she's seeking the Republican nomination for attorney general. “New Mexico deserves a strong prosecutor as attorney general,” Riedel said in a news release. “I will stand up and fight against those who would prey on the weak and try to take advantage of the public. I will enforce the laws of New Mexico to ensure that dangerous criminals are put behind bars." Much of that time, Riedel worked in Martinez's DA office, she was chief deputy district attorney. After Martinez became governor, she appointed Riedel to a vacant judge's post in Doña Ana County. However, Riedel was defeated in 2012 when she ran for the judgeship. Her cases include the “Baby Brianna” child-abuse/murder case and the conviction of Jesse Avalos for the murder of New Mexico State University freshman Carly Martinez. Last year the governor appointed her old deputy to the state Public Defender Commission, a fact that Riedel doesn't include in the biography that accompanied her announcement. At the time of her appointment the state Criminal Defense Lawyers Association called the choice of Riedel "slap in the face" to defendants who can't afford private lawyers, as well as to people who voted for an independent public defender's office. 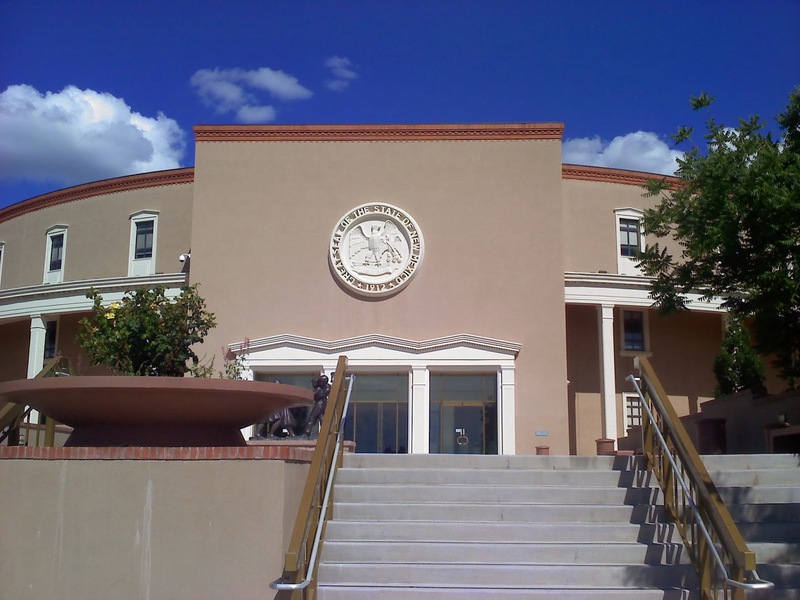 Her appointment also was opposed by some Democratic lawmakers including House Judiciary Committee Chairwoman Gail Chasey and House Majority Whip Rep. Antonio "Moe" Maestas, both D-Albuquerque. 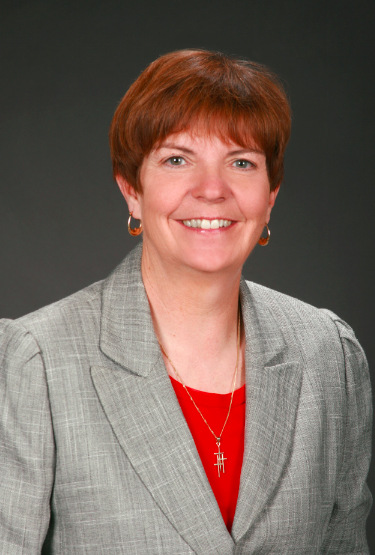 Riedel briefly was chairwoman of the Dona Ana County Republican Party last year, which she served after the previous chairman David Clements resigned to run for U.S. Senate. 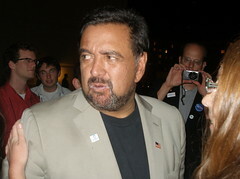 Riedel faces political newcomer Jim Baiamonte, an Albuquerque Republican, in the GOP primary. State Auditor Hector Balderas is the only Democrat who has announced for the job. Many though that Clovis District Attorney Matt Chandler, who was the GOP nominee for AG in 2010, would run again. However, this week Chandler announced he would resign from his job on March 1 to go into private practice. The House Democrats just issued a statement saying that Rep. Phillip Archuleta, D-Las Cruces, won't be able to travel to Santa Fe for the Legislature, but he'll be able to follow the session on his laptop. However, I don't think Archuleta, who is recovering from hip surgery, be able to vote by laptop. As I reported today, Archuleta is one of two House Democrats who might be sidelined because of health issues. The other is Rep. Ernest Chavez, D-Albuquerque. If both Archuleta and Chavez are absent, the political makeup in the House would be 35 Democrats, 33 Republicans. 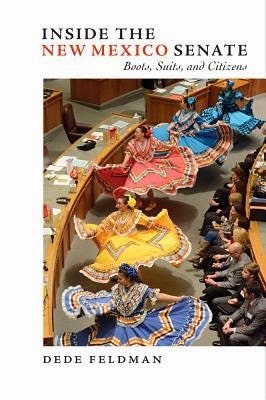 And, as I said in the paper, "That is uncomfortable for Democrats considering that Rep. Sandra Jeff, D-Crownpoint, and Rep. Donna Irwin, D-Deming, have been known to break with their party on several issues ..."
SANTA FE, NM – Representative Phillip Archuleta (D-36, Doña Ana) will be fully engaged in the 2014 Legislative Session and plans to address the issues important to the citizens of Doña Ana County even as he recovers from major surgery. Rep. Archuleta says he has already been involved in the introduction of legislation and requests of capital outlay on behalf of his constituents. He has a laptop computer and will monitor the session online. Rep. Archuleta will receive daily reports from the House staff and his legislative secretary. He looks forward to hearing from his constituents by email at phillip.archuleta@nmlegis.gov . 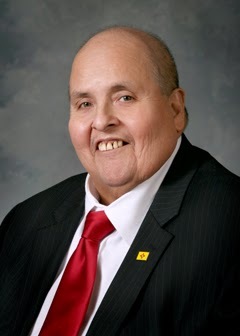 Rep. Archuleta is recovering after major hip surgery due to a fall he took while attending an interim committee meeting. While he will not be able to travel to Santa Fe, his family will be representing him on Opening Day. Rep. Archuleta looks forward to a complete recovery so he can continue working on behalf of the good people of Doña Ana County. In reporting on corruption in New Mexico, so many of us look on the bad side. Same with polls. People get so negative. So with this new Common Cause New Mexico poll, conducted by Research & Polling of Albuquerque, I'm not going to concentrate on all the negative perceptions. I'm going to see the glass as half full. Or, in this case, five percent full. One question the poll doesn't answer: Who are these people who say all this isn't a serious problem? Update 1:20 pm I just fixed a dropped word in one of the paragraphs above. It was an important one: "not." Thanks reader Mona for alerting me. Richardson’s book, released late last year, is called How to Sweet Talk a Shark: Strategies and Stories from a Master Negotiator. It deals with his experiences as a high-profile hostage negotiator as well as his dealings with President Barack Obama, former President Bill Clinton, who hired Richardson for two cabinet positions. Richardson was governor of New Mexico from 2003 through 2010. The show airs 8 am Sunday, January 19 on KNME-TV, Ch. 5.1. I'm about to witness my 14th regular session of the New Mexico Legislature as a Capitol reporter for The New Mexican. But this year the paper is beefing up its legislative coverage. I'll be joined this by two veteran reporters who will be working out of the Roundhouse media room. Milan Simonich and I have been office-mates at the Capitol for about two years. He was the Roundhouse reporter for the Texas-New Mexico Newspapers chain during that time, but now he's working for us. He's started a new blog called Ringside Seat, which I recommend you follow. Also joining us here is Patrick Malone, who has covered the Colorado state Legislature for several years before coming to The New Mexican. We'll also have other New Mexican reporters at the Capitol, including Robert Nott, covering educational issues (rumor has it this will be a major area of concern during the session) and Staci Matlock covering environmental issues. Former state Republican Party Chairman Allen Weh has hired a campaign manager and will announce Thursday he will seek the GOP nomination to challenge incumbent Democrat Tom Udall for his U.S. Senate seat. Weh will make his announcement via live video stream tomorrow morning, campaign spokeswoman Chelsea Stallings told me. 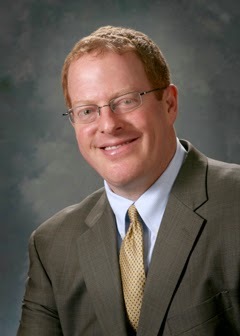 Las Cruces lawyer David Clements, a libertarian Republican and political newcomer, also is running in the GOP Senate primary. 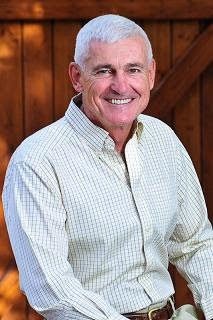 Weh, a retired military colonel who served two tours in Vietnam and with the British Royal Marines in Malaysia, ran for governor in 2010. In that five person race, Weh came in second behind Susana Martinez in what turned into a heated race with both candidates running negative ads against each other. Weh's campaign that year largely was self funded. Weh is founder of CSI Aviation, an Albuquerque aircraft company. CORRECTION 11:35 a.m.: The otiginal version of this post identified Stallings as campaign manager. Actually she is the campaign's communications manager. Weh's campaign manager is Diego Espinoza. 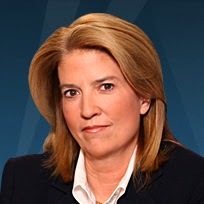 About a year ago, Fox News host Greta Van Susteren did an interview with Gov. Susana Martinez that wasn't exactly hard-hitting. This week's issue of Politico Magazine shows Van Sustern still is fond of the governor. Van Sustern and several other pundits were asked which elections will be the most interesting this year. Greta chose the New Mexico governor's race. My eyes are on New Mexico—whether Republican Gov. Susana Martinez wins or not … and if so, by how much. The margin is important. It is expected that the Republican governor will win her re-election in the blue state of New Mexico, which President Obama won in 2012 with about 53 percent. Why is the margin of a win so important? Because it will indicate whether she is a powerful “player” in the veepstakes in 2016 (or maybe president). In case she wasn't clear about her position before, Gov. Susana Martinez, at a news conference this afternoon said she won't push for a constitutional amendment to ban gay marriage in New Mexico in the upcoming legislative session. "I think what I said before was that yes, the people should have decided on it, but the Supreme Court has decided. And it's now the law of the land." Asked if that meant she wouldn't push for the Legislature to pass a measure like Sen. Bill Sharer's Senate Joint Resolution 6, Martinez said, "It's the law of the land. The Supreme Court has spoken." I spoke with state Rep. Emily Kane, D-Albuquerque this weekend after I'd filed my story about Colorado's embarking on legal retail sale of marijuana for recreational adult users. Kane last year sponsored a bill, which passed the House, that would have reduced penalties for possession of up to 4 ounces of marijuana to a civil penalty with increasing fines, and would have eliminated the potential for jail time for anyone caught with up to 8 ounces of pot. I asked her if she intended to introduce that bill in the upcoming session. No, she said. House Democrats are discussing whether to get behind Sen. Jerry Ortiz y Pino's proposed constitutional amendment that would legalize, tax and regulate marijuana, like Colorado did. If that passes state voters would decide the issue in November. But I do think marijuana eventually will be legal here, especially if Colorado's experiment goes well and the dire predictions of the Reefer Madness crowd don't come to pass in the next few years. Something tells me that because of Colorado, the efforts of drug-law reformers, in this state and elsewhere, will be focusing on legalization, not decriminalization -- as as gay-rights activists here at some set aside their effort to establish a "domestic partnership" law here and focus on actual marriage equality. Domestic partnerships" was an attempt at compromise that became less and less relevant as events unfolded. With the new marijuana laws in Colorado and Washington state, the "decriminalization" compromise is starting to look the same way. 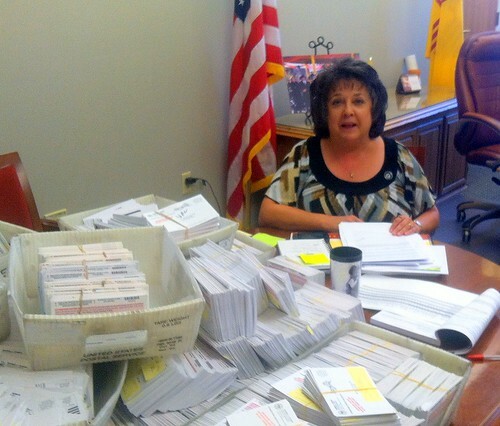 ROUNDHOUSE ROUNDUP: Did SOS Letters Confuse Green Voters Before ABQ Abortion Vote? In early November, members of the New Mexico Green Party received a letter from Secretary of State Dianna Duran’s office that caused some confusion — right before a high-profile election in the state’s largest city. The state election code says a party shall “cease to be qualified” if its candidate for president or governor fail to receive at least one-half of 1 percent of the total votes cast for president or governor, or if the party doesn’t have any candidates on the ballot in two consecutive general elections. Green Party candidate Jill Stein received just above one-third of 1 percent of the vote. “The Secretary of State’s Office is required by law to notify all registered Green Party voters that the party is no longer a qualified political party,” the letter, signed by Elections Bureau Director Bobbie Shearer said.